Even though menopause is unavoidable, you don’t have to learn to get used to the unbearable symptoms that accompany it. 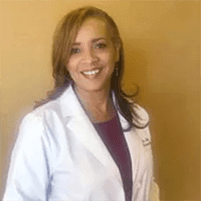 At Nurturing You Women's Health & Wellness in Corona, California, you can meet with expert gynecologist Leita Harris, MD, who has extensive training in modern menopause solutions. See how Dr. Harris can help you by booking a consultation online or by calling the practice directly. Menopause can even lead to loss of breast fullness, thinning hair, and overly dry skin. Before these uncomfortable and embarrassing menopause symptoms start taking over your life, find out which treatment options are right for you. When your menstrual cycles stop and you go for 12 consecutive months without a period, you’re likely in menopause. You can enter menopause as early as your 40s, although it’s most common for menopause to happen around age 51. During your menopause evaluation at Nurturing You Women's Health & Wellness, Dr. Harris performs a physical examination and discusses your symptoms with you. She may also request a blood draw to check your hormone levels. In most cases, she can diagnose menopause and provide treatment options the same day. Is treatment available for menopausal symptoms? Yes. Dr. Harris understands how life-altering menopausal symptoms can become. She offers several solutions to restore your quality of life and lessen side effects associated with menopause. Some of the most in-demand menopause treatments are described below. FemTouch is a vaginal revitalization procedure that uses laser energy to restore healthy vaginal tissue. Over time, FemTouch can help tighten your vaginal canal, improve vaginal lubrication, and resolve bladder leakage. The entire process is painless and performed right in the office. Natural hormone replacement SottoPelle pellets is an innovative way to stabilize your body’s hormones, which ultimately reduces many of the side effects you experience with menopause. Because the pellets are natural and are nearly identical to the structure of your own hormones, you’re less likely to experience side effects. Dr. Harris may also include vaginal estrogen creams, tablets, rings or BHRT in your menopause treatment plan. Start your menopause treatment at Nurturing You Women's Health & Wellness and get relief from symptoms right away. Book your evaluation through the online scheduler or over the phone.